January is National Get Organized Month and we’re getting involved. Sure we’re designers; we’re organized – by color as a matter of fact! However, even the best of us need to back away from the scene of the crime and assess the situation. Truth, we’ve been working within the same space plan for the past three years, we are well overdue for a re-design. An organized life helps ease the stress of other obstacles you’ll encounter throughout the year. It’s in our name to re-design and with that comes serious organization tactics. So how will we take on the challenge of National Get Organized Month? We are taking ourselves on as the first design client of 2019! All hands on deck, brainstorming in progress, “wait till you see what Rumor did,” kind of design work. Ok, we won’t oversell it, but our step-by-step design process can help even the most disorganized, chaotic personality types. First things first, consider these variables: What is the space used for, who will use this space and how do you want to feel in this space? Other considerations, where do you feel most inspired, happy, at peace? How you can implement your feelings from that place into your own space? Secondly, sharpen your pencil, use crayons if you must and draw out the shape of the room. Drop in the essentials of your space, in our case – we’re working with desks, meeting tables and display cabinetry, the big items. Also, keeping in mind dimensions and precise measurements. Here’s a great tutorial for “How To Draw A Simple Room Layout”. Thirdly, if possible, take everything out of the space – especially those big pieces of furniture that can prevent you from achieving your desired flow. Option to move everything to one side of the room while you work on the other, it’s flexible. Lastly, put the pieces back together while you nudge, fluff, and mess with it a few more times. These first and last steps require the most thought, attention to detail and will require more time within the process. Be prepared for this mental excerise and further, the physical requirements of the project. Do you need to hire help? Maybe save it for a weekend when there are more hands to help around the house. If possible, complete the installation in one afternoon. Take your time with the rest if you need to purchase specific items to fill in new spaces, or storage solutions. This fresh perspective of your space will inspire you to organize even more parts of your life and start the new year off right. As far as our space goes, we're spending extra time on Steps 1 & 2 and will be executing Steps 3 & 4 come February. Stay tuned! There are many factors that go into getting a good night’s sleep, and for a lot of people, it’s still a big mystery. With some basic math, you’ll realize that you spend about one-third of your life sleeping. We think that’s a pretty significant amount to take stock of, so how can we help? Our solutions stem from the function of your space and the design aesthetic of your surroundings. Ultimately this space affects your day-to-day mood, and in turn affects the quality of your sleep. Does your bedroom function in a way that provides you with optimal sleeping conditions? Good news, there are a few key pieces below that you can get to work on today! Imagine - your bare feet on a soft, warm rug. Your eyes adjust, restful in the ambient light, the smell of fresh cotton sheets invite you in, and the sound of this quiet space allows you to finally relax. If you’re ready to explore this type of environment, let’s start from the floor up. 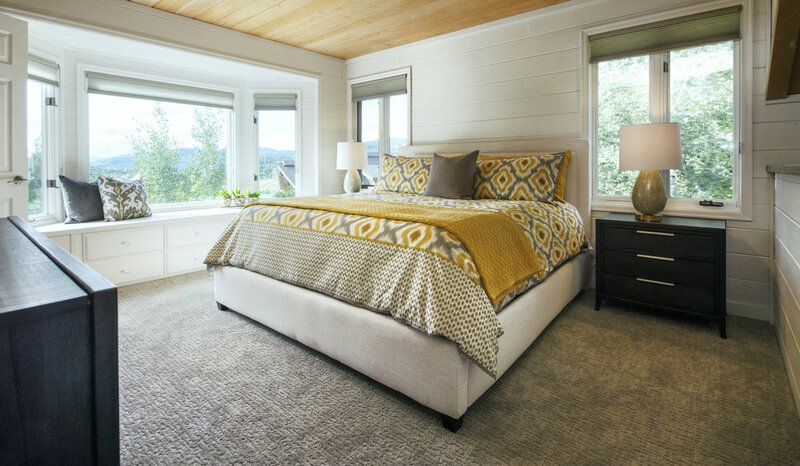 On a hard surfaced floor like wood or tile, we suggest a large area rug that spans the border of your bed. Carpeting can be left alone or enhanced with a fun textured rug. Choose a low pile made of soft quality textiles and a pattern or color that physically brings a smile to your lips. You’ll look down at this rug twice a day, when you slip in and out of bed. Furniture in this space is all about function, so please remove any chunky, creaking, sticky drawer armoire you might still be holding on to. 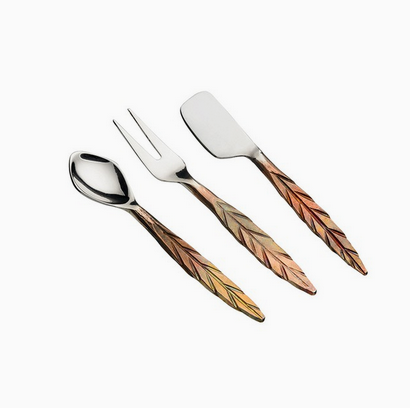 We want to keep this space clutter free with space saving solutions and reliable, curated pieces. A sturdy bed frame with a headboard will serve as a backboard for reading and prevent any stains or dents on your accent wall. A slim bench at the toe-end of your bed will provide a sitting area to take off your shoes or store extra blankets for cold winter nights. If your space allows for a reading nook, use these four pieces to create a serene oasis - a cozy chair with ottoman, a floor lamp for task lighting, and a side table for your book, hot tea and/or a small vase with flowers – items that make you happy! Your closet can be so much more than a rod hanging across an eight-foot opening. A personalized closet system keeps you organized and ultimately minimalist, prioritizing space for things you love. Shelving, drawers, hang bars, jewelry trays, pant hangars, tie and belt racks, are all helpful tools to simplify your routine and improve your overall mood morning and night. Color can absolutely affect your mood and your sleep, so we will typically play it safe here with a calming, neutral tone of white or gray paint. 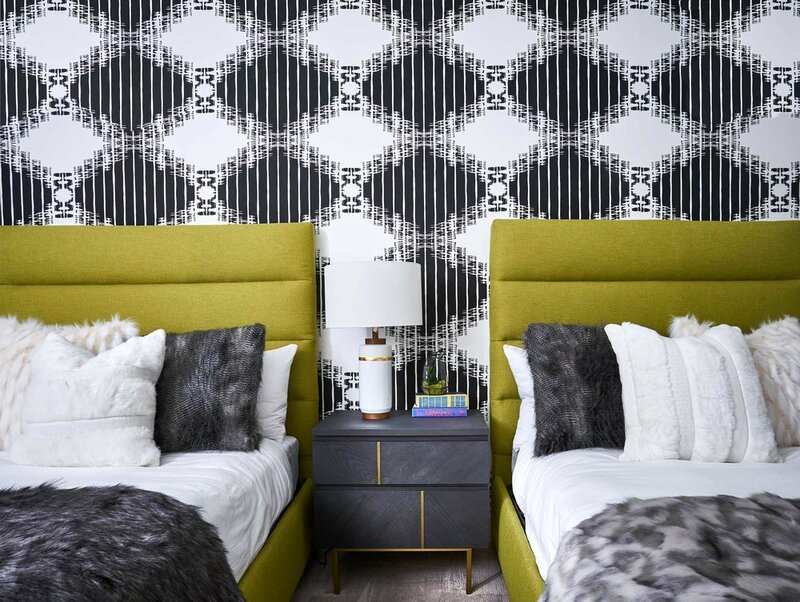 Accent colors or wallpaper can be placed on one wall at the headboard that will add to the aesthetic but not detract from your line of sight while lying in bed. You can play around with textured papers and woods as long as there is not too much movement, patterns or variations in color. Color variation between the walls and your furnishings should compliment each other. 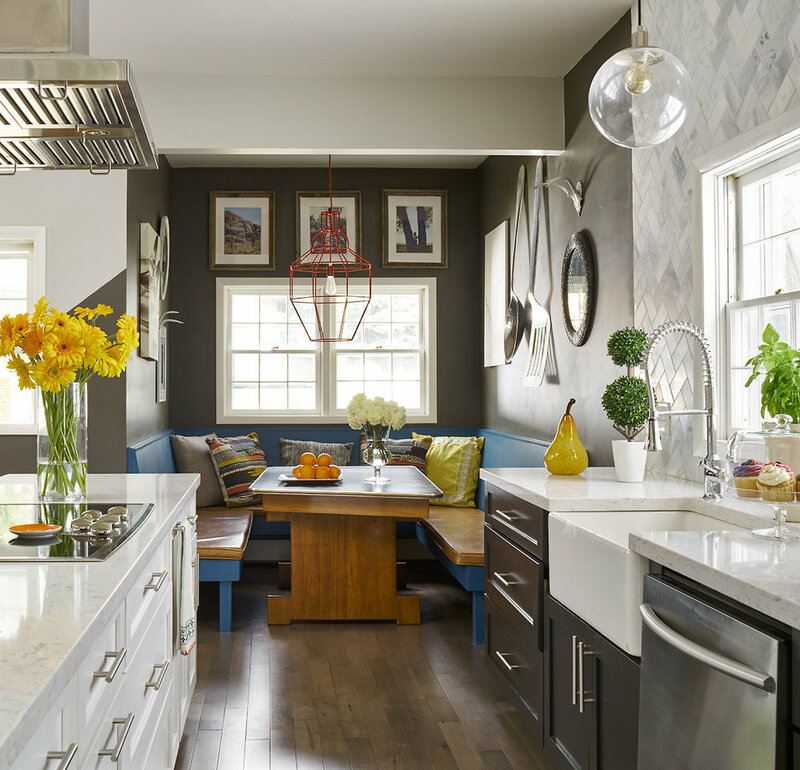 Complimenting colors can be found on opposite sides of a color wheel, and pop more effectively on a neutral pallet. 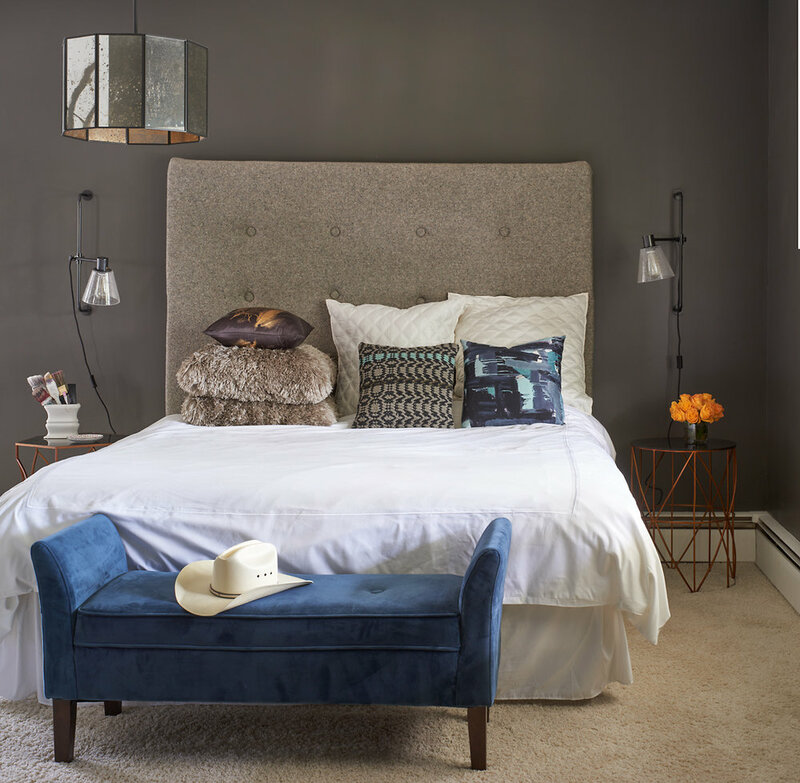 If your walls are a soft gray with a wooded accent wall, use a dark navy headboard to enhance a rich, luxurious feel. If you’re going for something more casual and bright, try black and white with pops of orange, yellow or pinks. The combinations are endless, but balance is key! 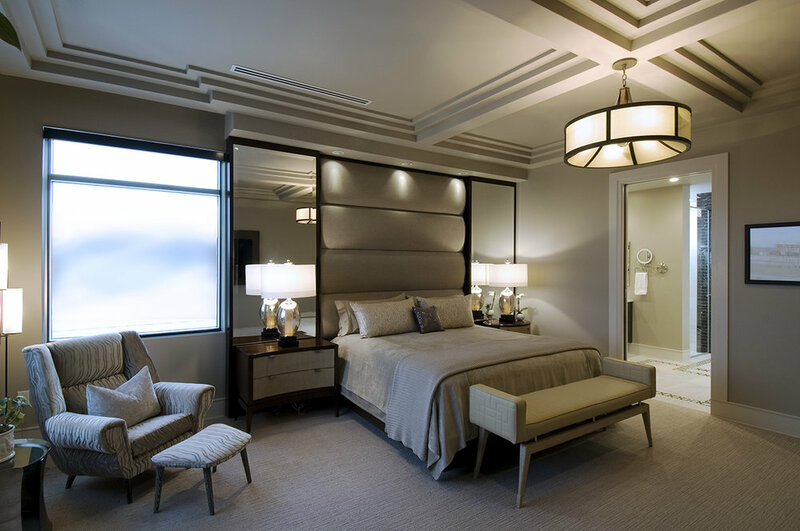 A successfully designed room will include three types of lighting, ambient, task and statement. Can you identify each in your current space? Ambient lighting is a soft glow that blankets your space just enough for you to function without causing a harsh glare such as can lights, strategically placed within the ceiling. Task lighting is for specific activities like late night reading with bedside sconces, which will ease strain in your eyes and your sleep. 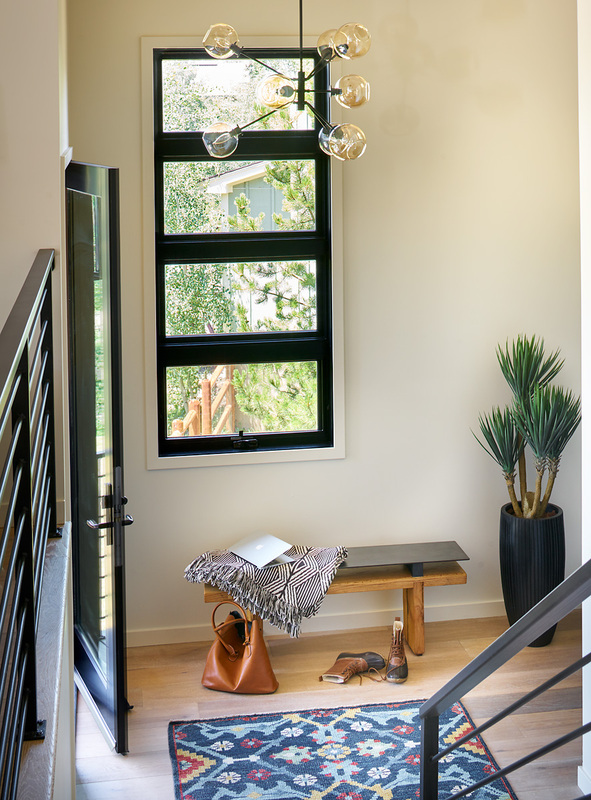 Statement lighting can add to the room on its own, or in a small space, be a combination of ambient or task lighting within a chandelier or floor lamp. This type of lighting is like tasteful jewelry, which should enhance the overall aesthetic, and not take away or distract. We won’t leave out shades and window treatments in this category as they serve to block or allow in natural lighting, something extremely coveted in the bedroom. Keep these items light in material and color to minimize heat absorption and maximize an open feel. Believe it or not, these simple checklist items can improve your mood and your sleep overnight! Or within a few nights if you take these tasks one by one. 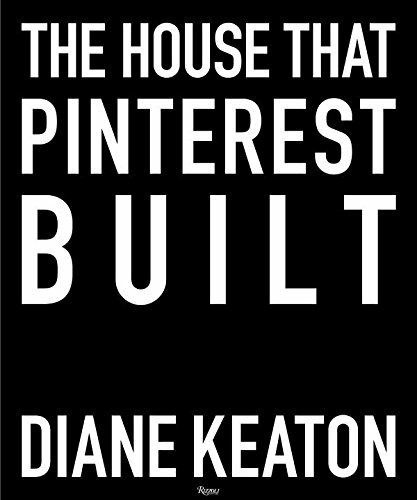 If you need more help with your bedroom makeover, overhaul – you know who to call! 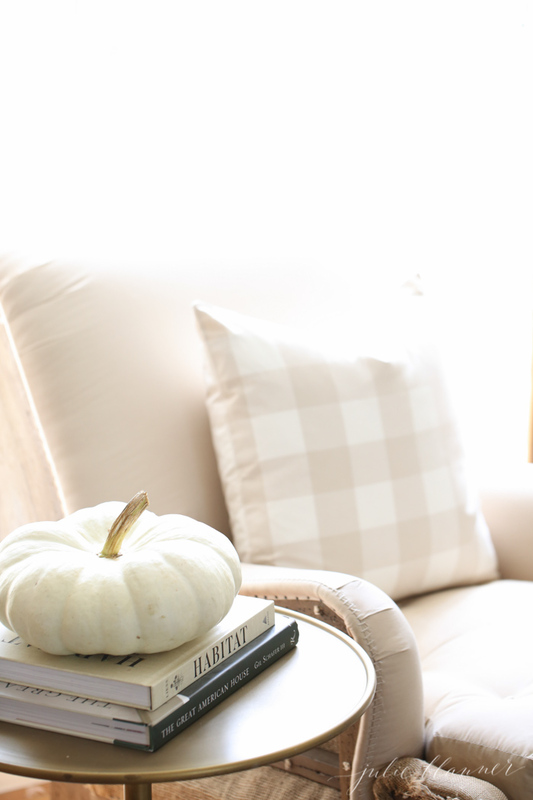 As the seasons change, the utility of your home will change as well. Your home will turn into your retreat as the daylight dwindles earlier each day. You may not even notice a dramatic change in weather until winter, so Fall is great time to prepare for these needs. 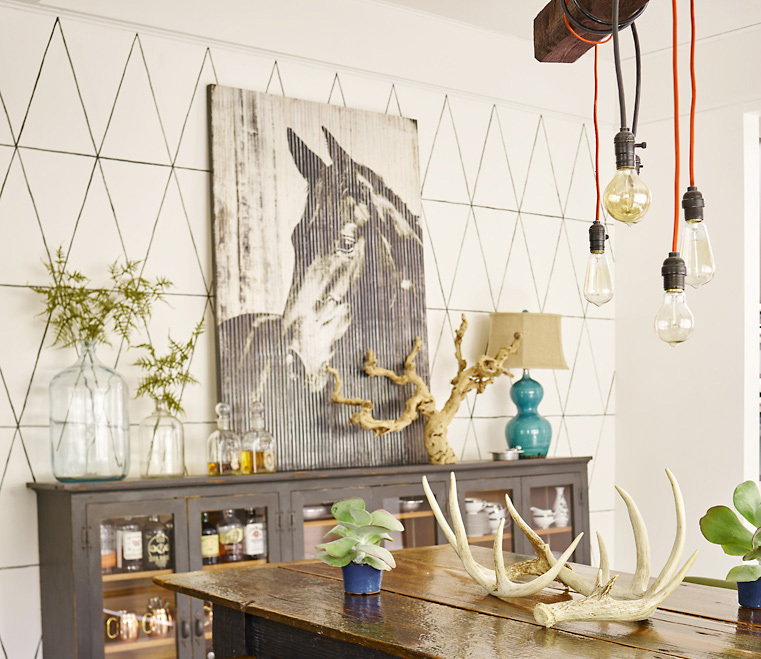 The 10 Things below will inspire you to make small changes in this season of opportunity to ensure your home is cozy and welcoming for your family and guests. Hearty decorative produce is a great way to bring the outdoors inside in a way that feels organic and fresh. It’s time to harvest the squash and adorn your home with these fall fruits instead of the go-to summer citrus. 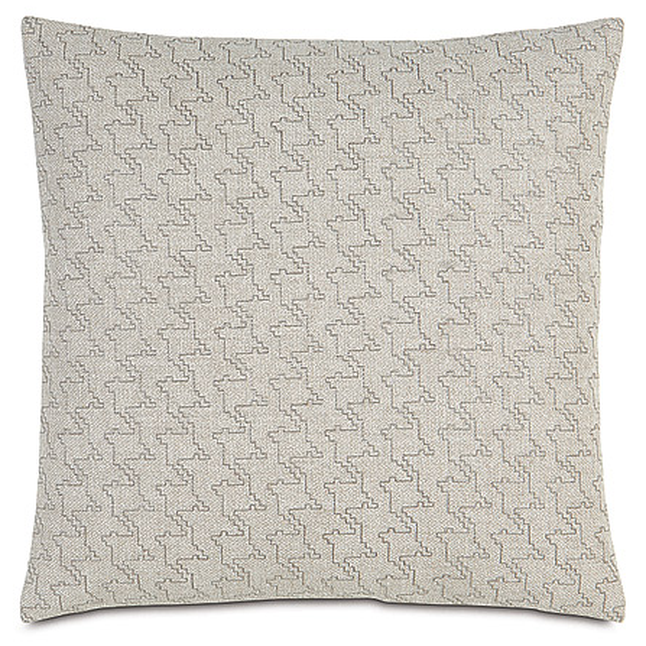 Pull out the occasional pillows and reintroduce them to fresh air before the snow falls. Down filling can absorb moisture over time and flatten in shape. If they've been packed away for most of the year, you'll want to plump them back up with a few shakes, or even toss them in the dryer with a tennis ball for about 10 minutes. Your cozy cushions and pillows will provide enticing seating areas for any rainy day activity. 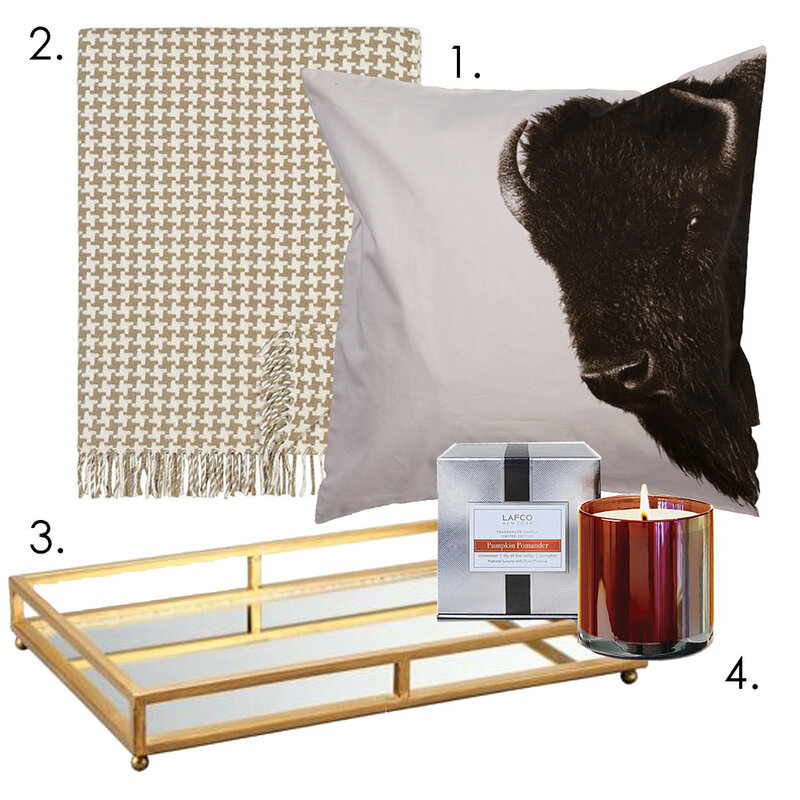 That cozy blanket you've been staging in the guest room can become a game changer in the family room. 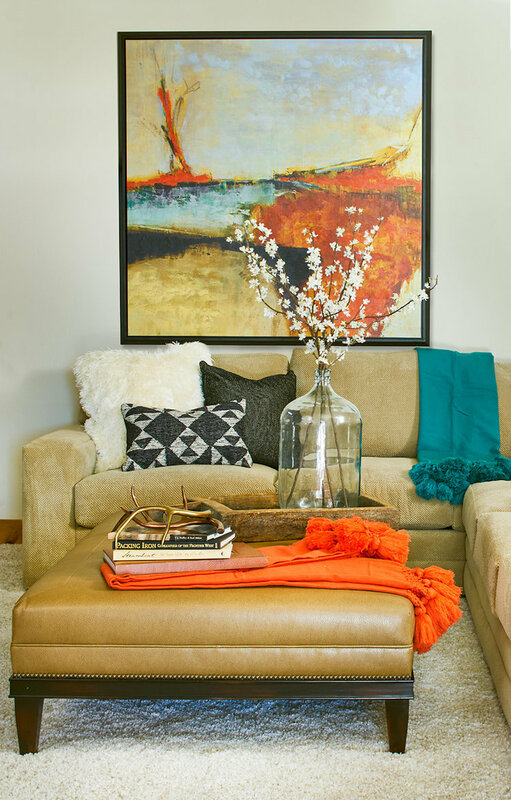 Drape a throw over your ottoman, or layer it over the back of your sofa, which can change up the color scheme completely. For example, these two throws bring out the fall colors of this contemporary art creating a cozy, inviting space to watch holiday movies or read a classic novel. The "Toe Warmer" has been a signature style of Rumor Designs since our founding in 2008. Typically known as a "bed scarf" we've come up with our own name for this design hack to prioritize function over fashion. 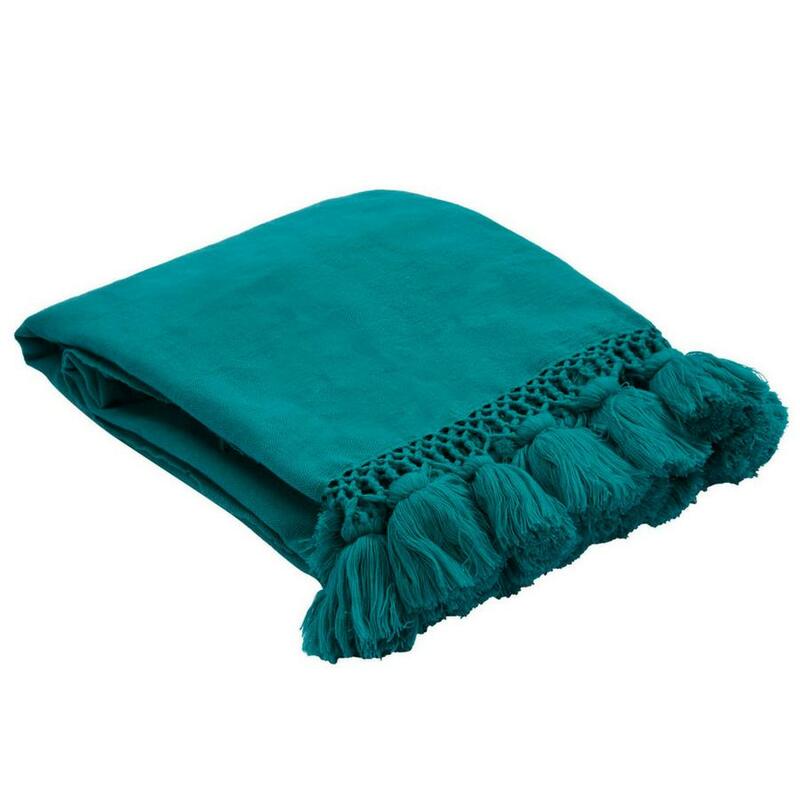 Fold over an extra blanket or patterned duvet at the end of your bed until needed as the temperature drops overnight. Rotate your cookbooks out of the kitchen and pull down your dusty classics from the library. 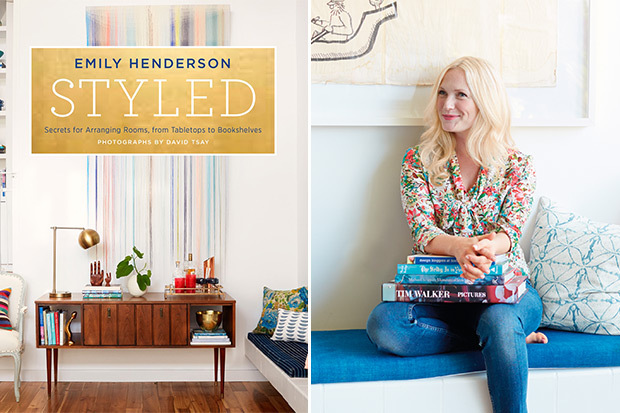 Swap out your coffee table art and fashion books for more approachable reads that will provide warmth through the winter nights when nothing on Netflix will suffice. Diffusers, essential oils and candles are a great way to bring mood enhancing scents into your home. LAFCO candles are our favorite option for a home fragrance that will burn 90 hours, made with natural essential oil-based fragrances. Add one of these scented candles into a catch all tray with a book of matches for autumn ambiance in a snap. 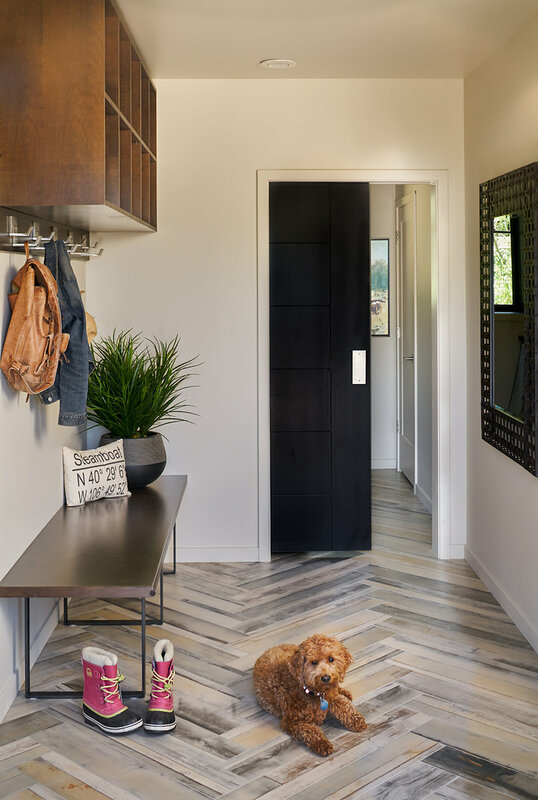 The entry way into your home sets the stage and tone for the rest of your evening. Set out your muck boots and umbrellas to prepare for mud season conditions while creating a Pinterest worthy vignette for Fall. You may even decide to walk the pup after dinner more often - rain, snow, or shine. The whole family is running around now that school is back in session, from winter sports club schedules and dance rehearsals, so it's important to remember that communication is key. 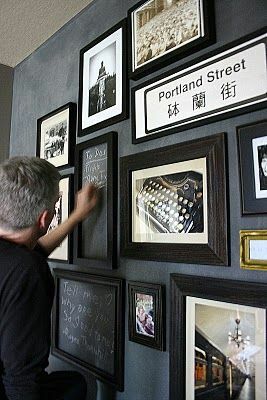 Replace one or two pieces of artwork on your gallery wall with a chalkboard command station. If your household already has one, you can script autmn poems and tack up daily affirmations or incoming holiday cards. Refresh your bar cart or wet bar with seasonal spirits and accompanying mixers for a fabulous fall cocktail at a moments notice. Brown booze goes a long way in the winter months, from hot toddy's and baking, to holiday parties and last minute gifts. An olive branch or magnolia foliage can adapt to any seasonal decor- and florals don’t have to die out by winter. Keep them around and in every room, these greenery pieces and stems can single handedly refresh any space. Invest in faux florals that look and feel organic no matter the season. If you're not ready for Fall by now, get in the mood with a few leaf peeping excursions. The aspens and ferns are already changing colors and they will be covered in snow before you know it!